It's been a while since I actually got this order and I've just been crazy busy that I haven't had a chance to post this. 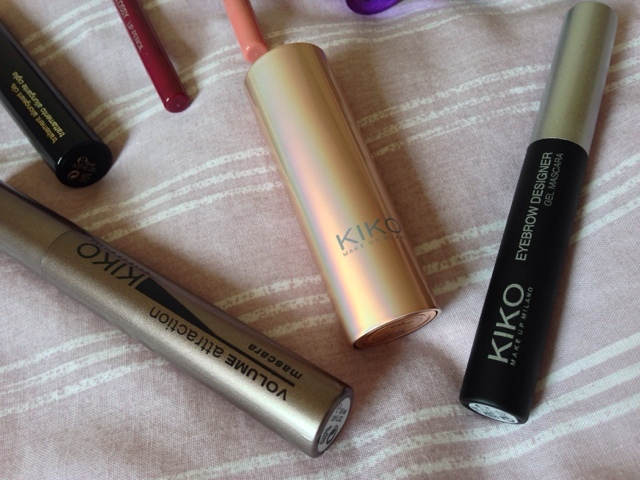 The main reason why I took this order is because Kiko cosmetics had an irresistible offer of £3.90 for each of their mascaras - crazy! 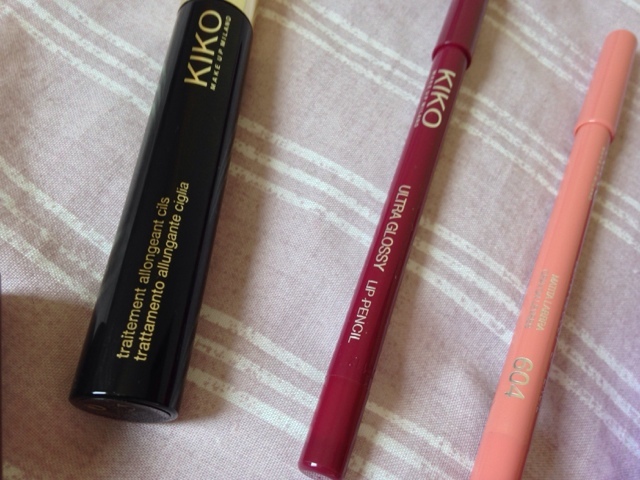 I've never tried anything from Kiko before so it was a bit risky but when I swatched a few of the lip products I was immediately impressed. 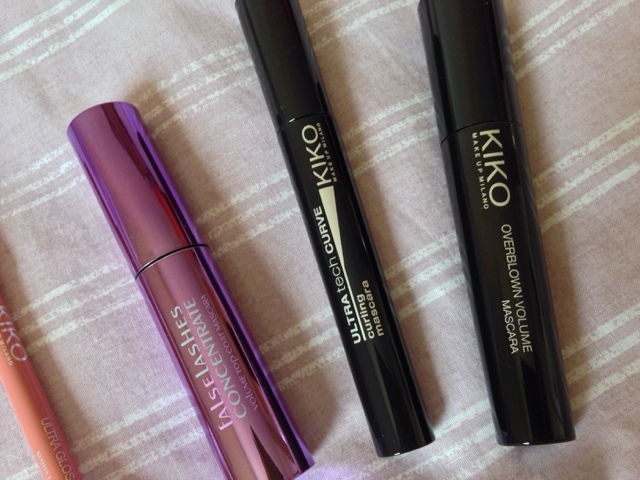 Firstly I'll start with the mascaras, I went quite crazy when I saw the offer. I got the Overblown volume mascara, ultra tech curve curling mascara, false lashes concentrate volume top coat mascara, volume attraction mascara and a 30 night mascara treatment mascara. I haven't opened any of the mascaras yet as I want to go through a few that are already opened first. I have tried the eyebrow gel mascara which seems quite good so far, it doesn't leave my eyebrows crispy which is what I expected, but it does keep everything in place. On to lips, I wanted to try a few lip liners and so I got two glossy lip pencils which are quite a peculiar formula, they really do swatch like a fairly opaque gloss. 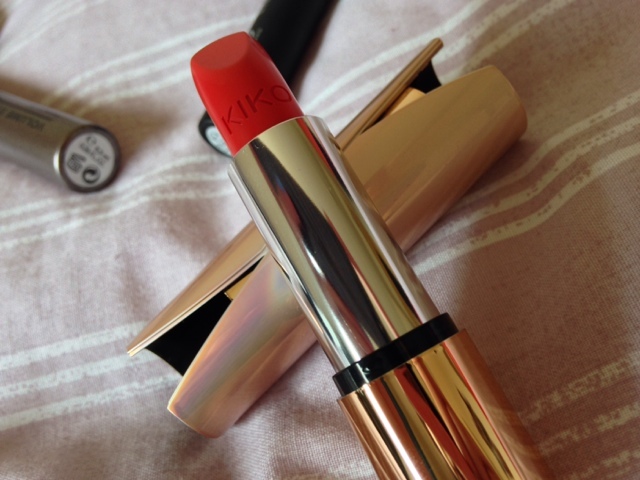 Kiko also had an offer to include a free lipstick in the order, so I decided to go for this gorgeous orange red lipstick. Can we please just take a moment to appreciate how beautiful this packaging is!! Even if I was to never wear this colour - which hopefully I will, I would be so happy just knowing I have something so gorgeous in my collection. And that is all I got, it did seem like quite a lot but I am forever wearing mascara so I know I will get through it - eventually. 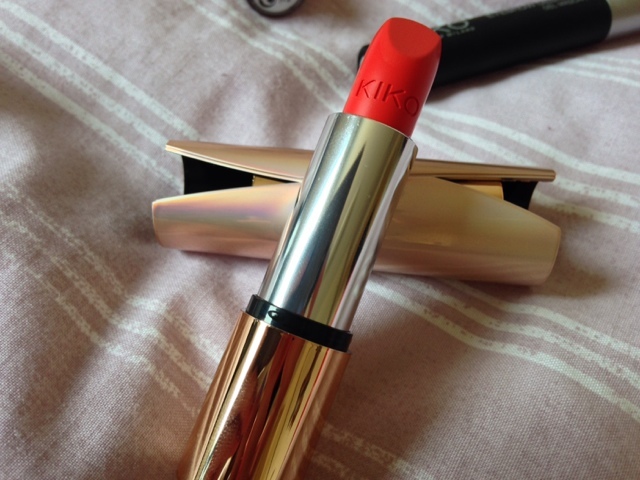 Hope you liked this post, let me know if you've tried any products from Kiko and what you have thought of it.